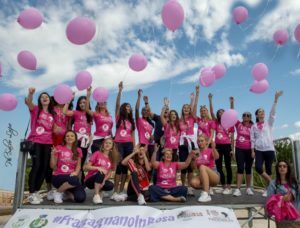 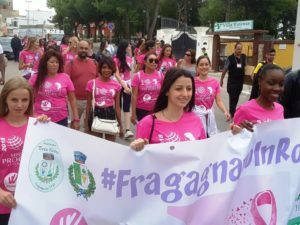 AVETRANA – The last day before the departures began in Fragagnano where the association Terra Nostra organized the march in pink to add funds to those already collected to support the Women’s Cancer Center project. 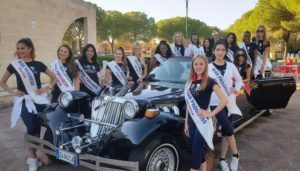 After lunch at the Grand Hotel dei Cavalieri the group moved to Avetrana where, on board of historic cars, it continued for a walk in Torre Colimena and the WWF oasis. 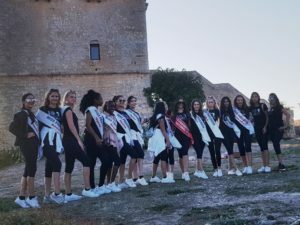 The tasting of the extra virgin olive oil produced on site preceded the awaited pizza dinner and the farewell party with the dj-set with which the curtain fell on this fantastic sixth edition of Miss Progress International.